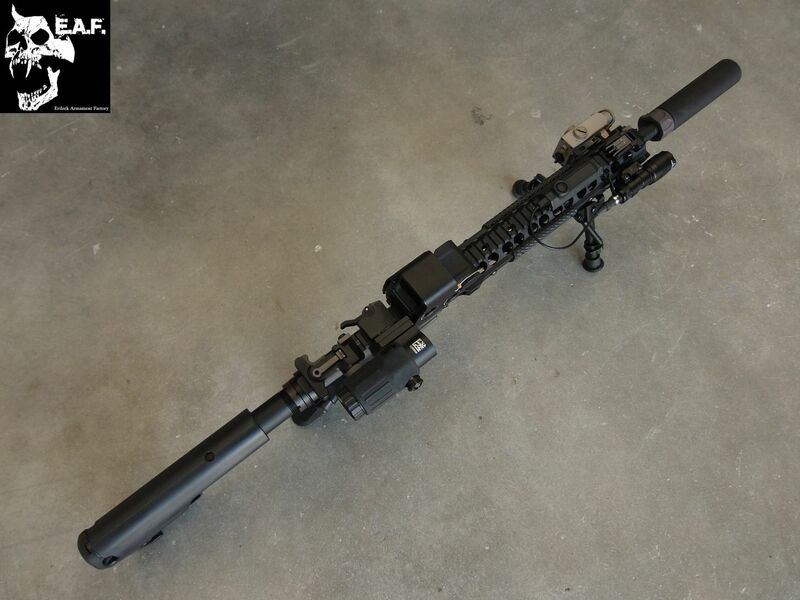 BOLT KAC SR16 urx 3 EBB. 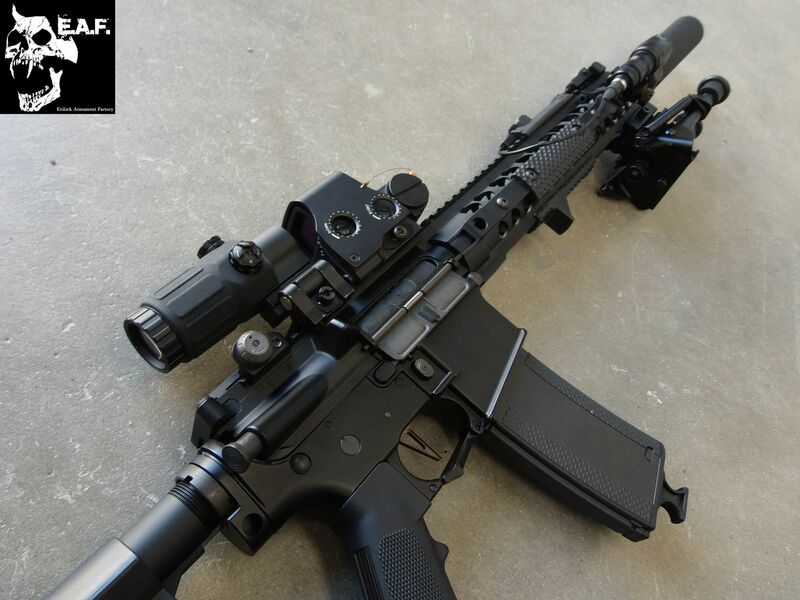 Holosun LS221G aiming laser device. 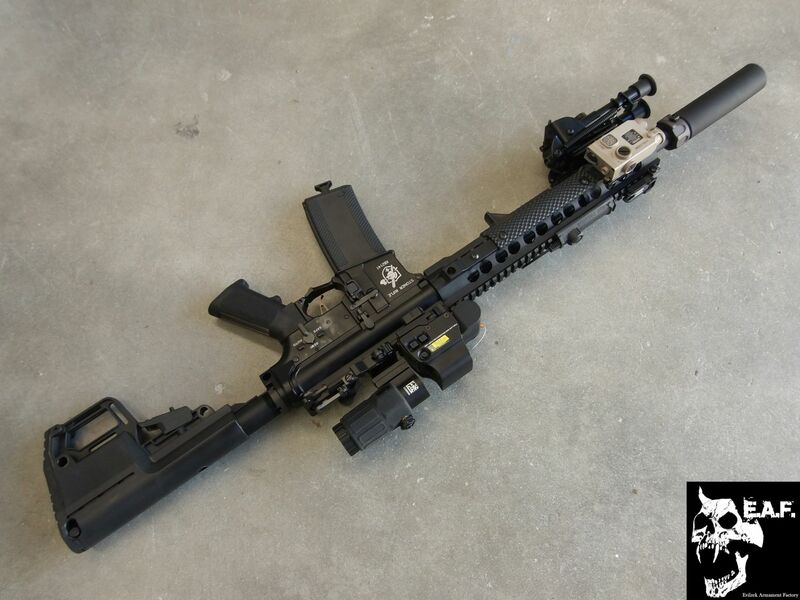 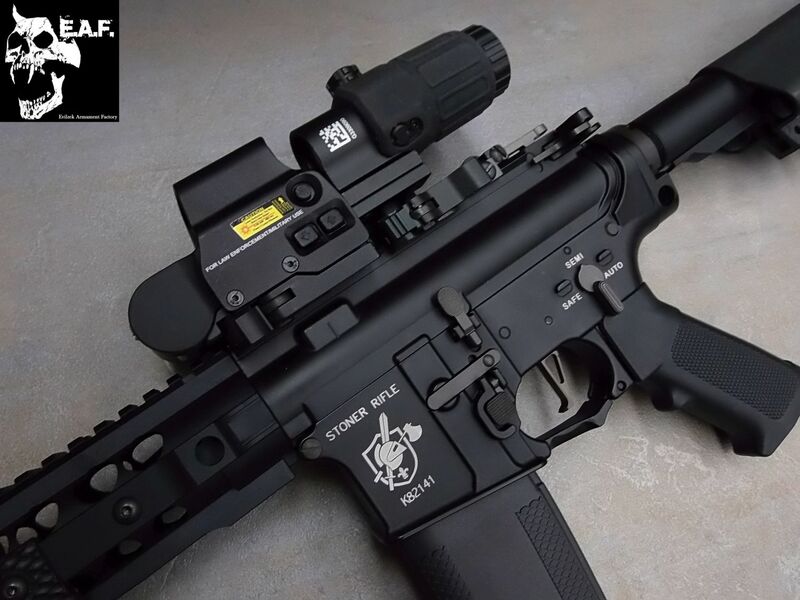 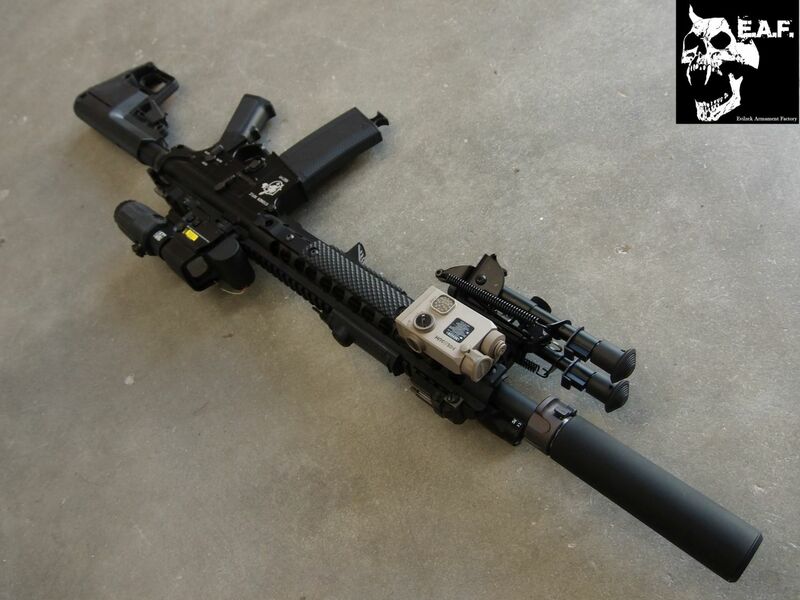 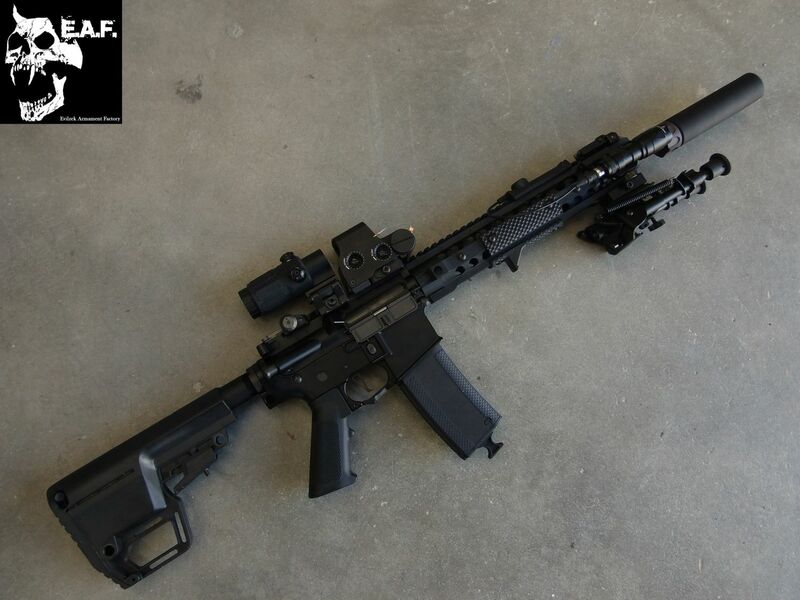 Angry Gun AAC Flash hider. 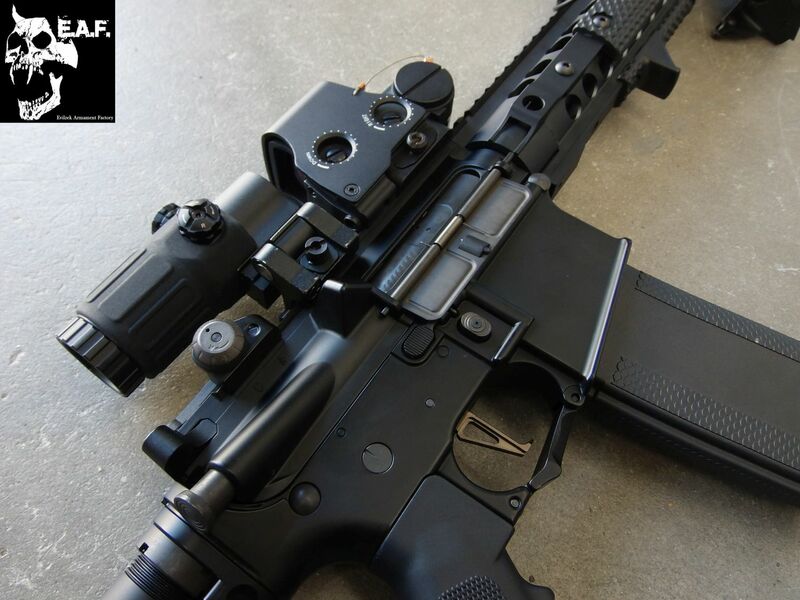 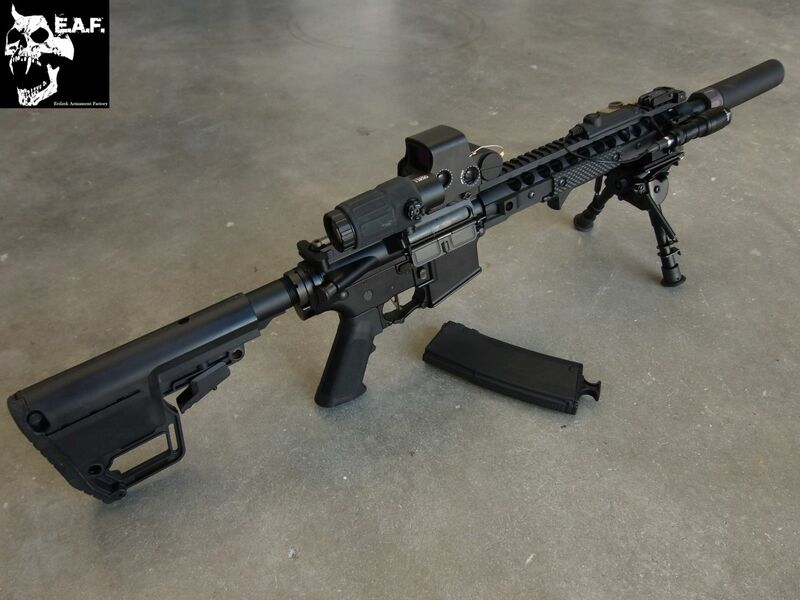 BD Eotech XPS3 + magnifier 3x.